Dashwood Men’s Club brings the magic! Peter Mennie of Abra-kid-abra can’t seem to get it right for volunteer participant, Olivia Laporte creating a lot of laughter in the audience. It was a full house Friday night at the Dashwood Community Centre where about 200 eager children and their parents gathered for an evening of magic and illusion. 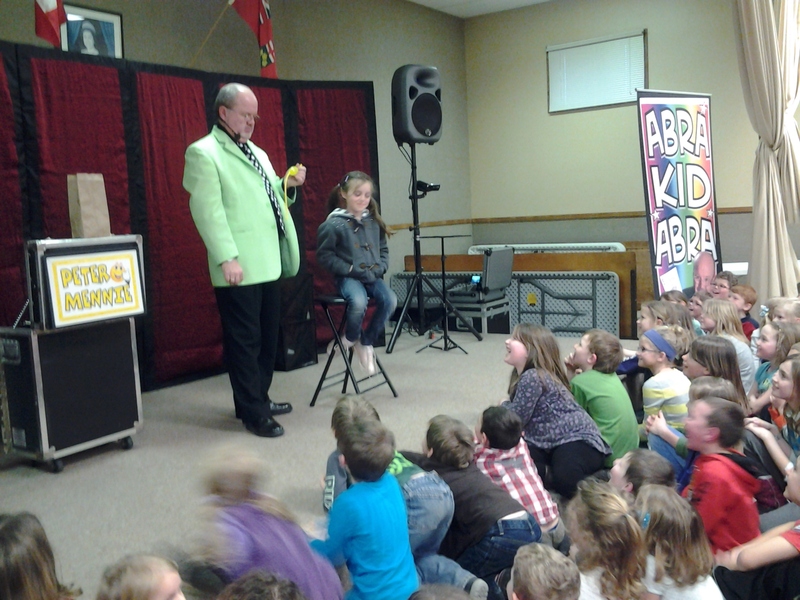 The event began with free pizza and drinks, followed by Peter Mennie’s show, “Abra-kid-abra”. The annual event, put on by the Dashwood Men’s Club gives families a great opportunity to get out and visit with others in the community. There is no cost to attend and the kids always have a great time! This was our third time attending and the show has improved every year. We especially enjoy the social time with other parents as the children are amazed by Mennie’s tricks and illusions. Thanks again to the members of the Dashwood Men’s Club for this event, and for all they do in our community. 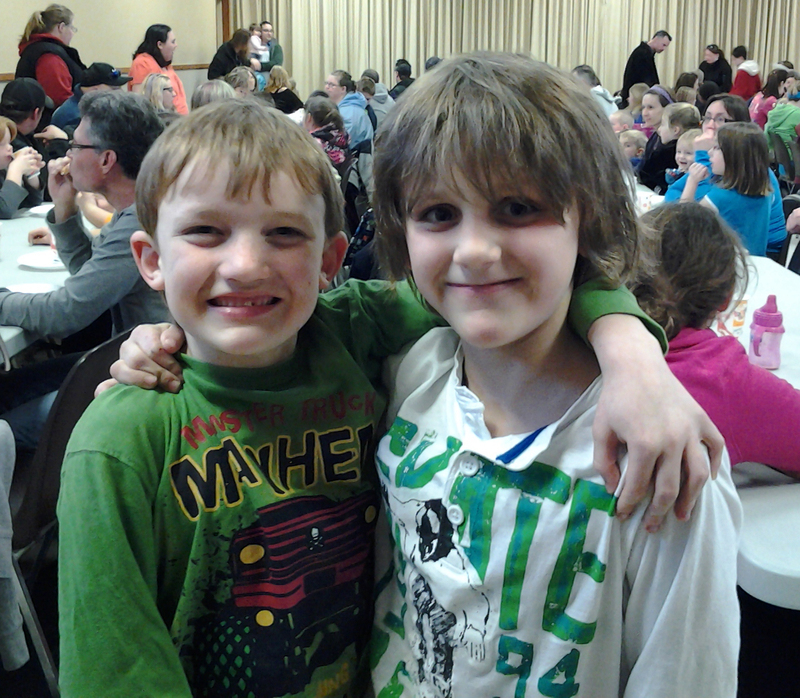 Friends, Bradley Vander Burgt and Brodie Gelinas are excited for the show to begin. 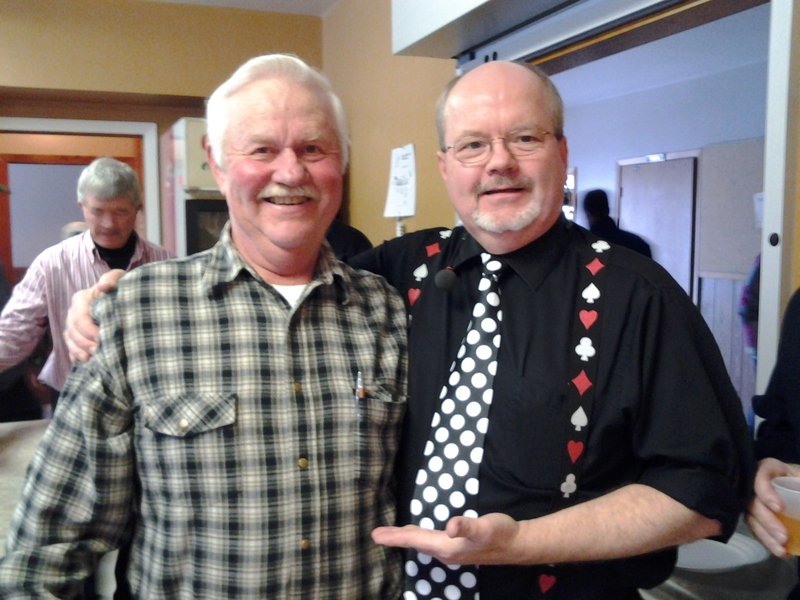 Dashwood Men’s Club member Don Weigand poses with performer Peter Mennie.